"After one nightmare experience with another home health care agency, we were recommended to Canopy Home Care for care for our terminally ill mom. When we first met Adrienne we discussed all of our concerns and she met them with reassuring, personal and professional poise. She understood our current needs and found a perfect match with Grace. Grace proved to be most compassionate and intuitive. We knew that it wasn't just the timing of Grace's arrival, but the fact that she immediately fit right into our family that first week with mom that made us feel at ease. Because she expressed such care for all of us we found that whatever "bitter pill" life was offering, it just went down easier with Grace's compassionate presence for us. Adrienne also found a wonderful caregiver for our mom to cover Grace's planned vacation - Kim. From the moment she arrived, Kim engaged mom with astute personal attention, reading art books and sitting in the sun together. She only covered 4 days but Kim made a lasting impression upon all of us. For the last few days before our mom passed, we needed 24 hour care and Adrienne matched us with Melanie (Mel). Mel was with us during some of the most difficult time which allowed our mom to stay at home through the very end. We were so fortunate to have three wonderful caregivers from Canopy. We have referred several people to Canopy, and will continue to recommend Adrienne to others looking for home care. This is a very good agency if you're looking for home care for an adult -- it's run by Adrienne Patel. Adrienne was recommended to us by a friend of my brother's who knew we were looking for help for our mom, who has mild-moderate Alzheimer's and lives at home. We've been using Adrienne for about 2 years, after first deciding to get out of employing home care workers ourselves (too complicated and onerous, especially with some of the new labor laws) and then trying out a number of agencies. We needed 24/7 coverage, and Adrienne found us good people to select from, and allowed us to screen people before they started working with our mom. Adrienne developed a detailed training document to orient new caregivers to our mother's situation and household, she set and managed the schedules, and basically made things easy for us. When we need to reach her, she responds quickly to our messages and emails with great sensitivity and consideration. We have had two solid caregivers working with us for over a year now, and the stability has been awesome. She invoices us monthly, and is on top of her paperwork. I honestly can't imagine an agency/person we'd rather work with. We have personally referred several friends who needed temporary help to Canopy. If you need someone trustworthy, competent, and responsive, I highly recommend her." "Adrienne from Canopy found the perfect person to help with my elderly father and around the house! My Dad lives with us and both my husband and I work full time. We needed to find someone to help prepare a simple breakfast and lunch for my Dad, do laundry, light housekeeping and errands. I was worried we wouldn't find the right fit. Adrienne managed to find that person. She has always been very responsive and accommodating. I feel comfortable knowing we have Canopy as a resource!" "I have only good things to say about Adrienne Sweet at Canopy. She helped us find some top notch caregivers and has communicated consistently throughout the process as well as managing whenever the caregivers need time off. Canopy sends someone to care for my mother-in law for about five hours. It's been great and working really well. They get along well, and it's been a very good experience. She drives her to visit my father-in law, and on the way home, they stop and get prescriptions, go grocery shopping, and feeds her lunch. She's on time, and my mother-in law hasn't complained about her driving. She's been with us for a couple of months. My grandfather was in need of care during a large family wedding a few years back. We were unsure of what to do as it was a great deal of work to take care of him and our grandmother had health issues as well. That's when we reached out to Adrienne. She put us at ease and coordinated for an amazing and well qualified caretaker to be with my grandfather for the entire event. This was a huge relief for the family as we all wanted both grandparents to enjoy the event and not worry about logistics regarding their health care. It was the best decision we ever made. The event was very special and all the grandchildren were able to rest well knowing we had someone taking great care of our precious grandfather. After this, we moved forward with having regular care for my grandfather to take some pressure off our grandmother. 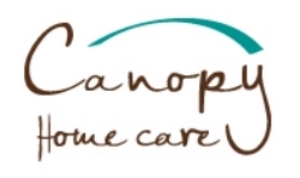 I would highly recommend Canopy Home Care and am extremely grateful for their services. I used Canopy Home Care to find some help with my grandfather. He needed regular attention and care. I told the company about my grandfather and the type of person I needed - they were AMAZING. They found the perfect person to care for my grandfather. The caregiver was responsible, kind, attentive - everything I could have asked for. I would strongly recommend Canopy Home Care and would use this agency again in a heartbeat. I did a LOT of homework before choosing Adrienne and Canopy to help provide care for my mom. I have complete confidence in Adrienne's knowledge and understanding of our needs, and the caregiver she selected for my mom was exactly the right person for the job. The technical details and feedback work well, but the important part to me was knowing that Adrienne stays totally on top of each client and cares about making things right. I recommend her services highly. Canopy and Adrienne have been a huge help providing care for my mother. After a stint in the hospital, my mother required 24 hour care as she convalesced at home. Adrienne was able to staff up very quickly to make the transition home smooth (and on a weekend!). Being a primary caregiver is hard enough, and having the support goes a long way toward peace of mind. The caregivers are wonderfully patient and caring. I would highly recommend Canopy Home Care when considering the best for your loved one.